The Cornell Rowing Programs are hosting a Junior Day on Sat. March 16. The day is geared towards current high school juniors (Class of 2020) and their parents. 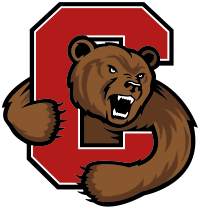 The day will include a campus tour, tour of all athletic facilities, viewing the indoor training facilities at Teagle Hall, spending time at the Cornell University Rowing Center, and meeting with the Big Red coaches, current student athletes and the athletic department staff. This day will provide a view into the academic opportunities at Cornell University, the campus and the Big Red rowing program. Coaches and team members will be on hand to answer questions, as well as presentations from the athletic department staff regarding academic support services for student-athletes, strength and conditioning programs, and more will be shown. Want to see a practice? You are welcome to attend a rowing practice on either Friday evening or Saturday morning before the Junior Day gets started. Details can be provided upon RSVP.